Entoku-in temple we visited on that day serves tea for tea ceremony in the typical tea room in the garden. 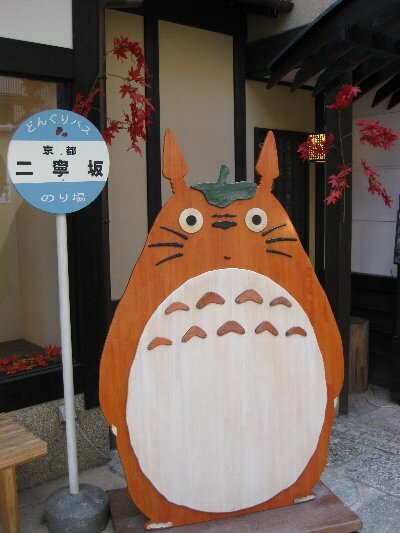 It is a simplified ceremony, but you can enjoy it at ease. The experience of having traditional tea in the traditional room counts so much. 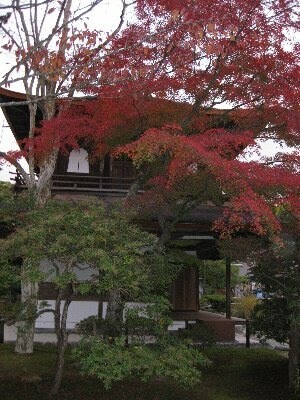 In this temple, tea was brought by a woman from out of the room. In the traditional way, of course tea is made in front of you and the way of making tea has a rule to be followed. But with just 500 yen for tea, I think it sufficient to have a slight touch of Japanese culture. I told them how to have the served tea. 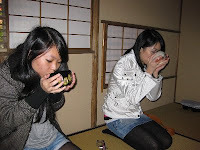 The girls seemed to have a little knowledge of tea ceremony, and fully enjoyed it. After having tea, the host came and explained to us the meaning of hanging scroll, and of the flowers in the alcove, which made us feel the season we were in. The last leg of our tour was Ginkakuji temple, or Silver Pavillion. 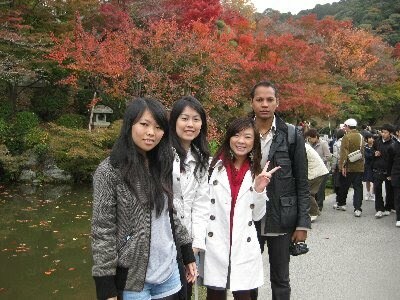 It was in late afternoon that we visited there. The sunlight shone directly to the leaves as if it were a spot light. That was the most beautiful scene of this temple I have ever seen. 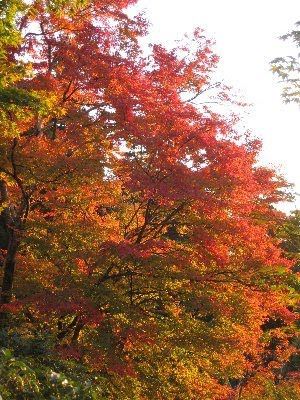 I recommend you to visit in late afternoon on an autumn sunny day. The conbination of green of the pine trees and red or yellow of the Japanese maple leaves made a beautiful contrast.